Firetrucks Unlimited completed refurbishment of two 2003 3000 Gallon Colet crash trucks. The trucks were delivered to Plant 42. The crash trucks had never been put into service in the four years since they were originally delivered. 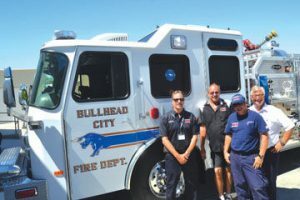 After Firetrucks Unlimited re-engineered the fire apparatus, the crash trucks were put directly into service.